After my Crandall died, I never thought I'd even think about giving my heart away again. Sure, I joked about dating, but I was pretty happy with my life the way it was. Now, I've met this handsome sheriff, and whoo, boy! He sure does make my heart flutter. I'm helping him with the investigation of a missing woman...a woman we both--or at least I--believe has been murdered. He doesn't much want my help, but there's nobody who can uncover a clue like I can. I'm like one of those television detective women. You see, I went to this upscale consignment store that my neighbor Tansie was bragging about, and I bought a clutch. It's a nice, satiny little black bag. Very classy. But--are you ready for this?--the thing had a note inside it that said, "If anything happens to me, look to Jim. He did it." It was signed Flora Adams. Well, I couldn't stand not knowing whether something had happened to Flora Adams. I mean, I bought her purse, for goodness' sakes! And it had that ominous note in it...like she was just begging me to help her. I called my granddaughter Sunny, and she looked Flora up on the Internet. Sure enough, Flora was missing. Now this handsome sheriff and I are on the trail of the killer. I've even volunteered to go undercover. Guess who I have a date with tonight? You guessed it--Jim Adams. Do you think I should put a note in my purse, just in case? 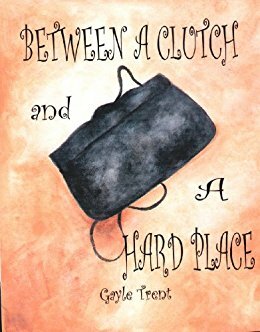 When Myrtle Crumb buys a purse at a consignment shop, she's surprised to find a note inside. The note says, "If anything happens to me, look to Jim. He did it." It's signed Flora Adams. It isn't long before Myrtle meets Jim Adams and learns he's a widower. Did the man she's dating murder his wife? Myrtle had better find out in a hurry! A group of ad executives comes up with the advertising scheme they hope will save their company - the ”perfect woman.” In their endeavor to find this woman, they discretely interview a handful of women, promising the women a share of the ultimate Perfect Woman's profits for their silence about ever being interviewed should they be turned down. Each woman interviewed has her own reasons for accepting the offer, and many think the offer is a godsend. But the godsend turns into a nightmare when a murderer begins to stalk the women, killing them one by one. These look good! Thanks for the freebies!